We praised the LG V20 for its audiophile-grade hardware, thanks in large part to its Quad DAC (four digital-to-analog converters), but it looks like the LG G6 might step things up even further, as it’s going to have an upgraded Quad DAC. That news comes straight from LG itself, with the company claiming that with this new DAC there will be almost no loss of acoustic information, and distortion levels of just 0.0002%, leading to clean sound that’s almost identical to the original recording. This new 32-bit DAC can also control the left and right earphones separately, for more balanced sound, which LG reckons brings the experience closer to feeling like you’re actually at a live concert. The end result is that all of your music should sound great, even lower quality MP3’s, while high quality FLAC files should be at their best here. That was the case with the LG V20, so we have no reason to doubt it will be the same with the LG G6. 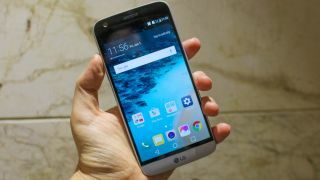 If that’s something you want, you should be able to get it soon, as the LG G6 is set to be announced on February 26, before hitting stores likely in early April. And there doesn’t seem to be much that we don’t know about it at this point, with a brushed metal body, a 5.7-inch QHD display, a dual-lens camera and a Snapdragon 821 chipset all looking likely. All of which could make this the first killer flagship phone of 2017.